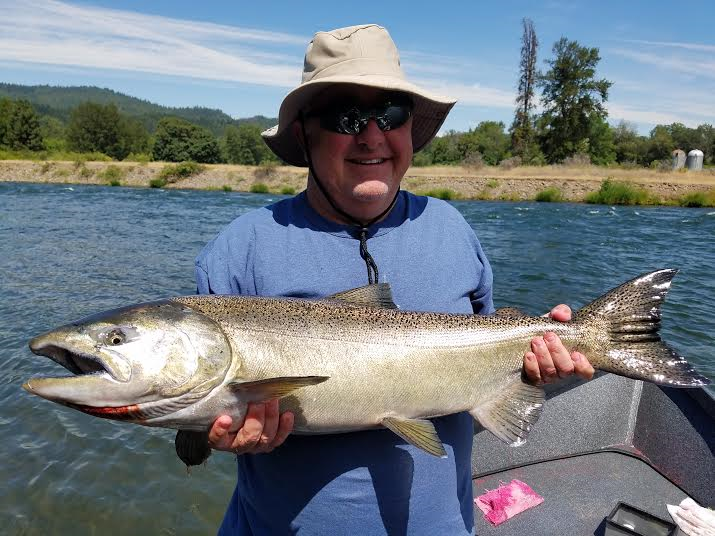 Kevin and Lee of Sacramento, California had a great day targeting Spring Chinook Salmon on the Upper Rogue River. 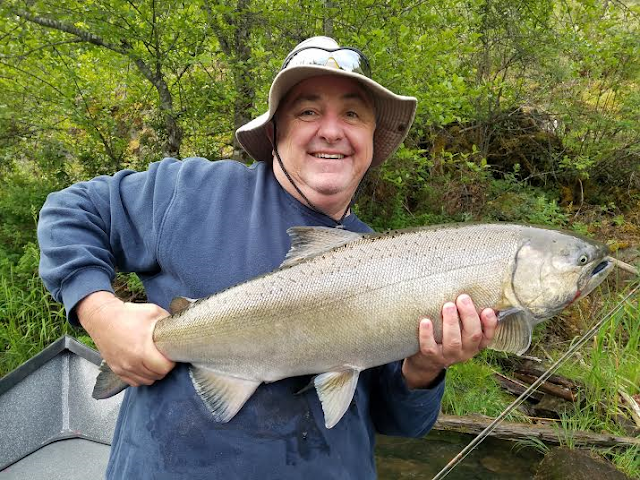 We fished near the town of Shady Cove, Oregon which is about a half hour from Medford, Oregon. Medford is the largest city in Southern Oregon an is easily accessible by vehicle or airplane. The Rogue River is one of the most productive salmon fisheries in the state. Our Spring Chinook are also pretty darn big compared to other rivers in Oregon where a 12 pound fish is average. 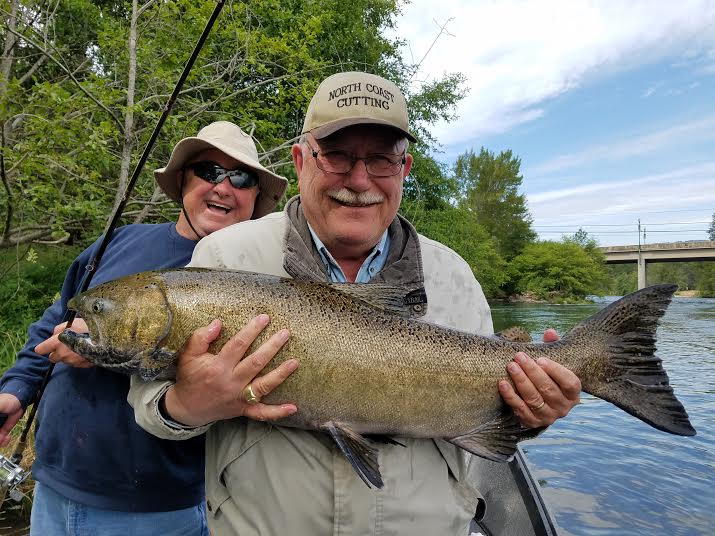 As you can see by the photos below, 20 pound fish are not uncommon on the Rogue! Good work Kevin and Lee, until next time!